A gift basket big enough to share, (or not! 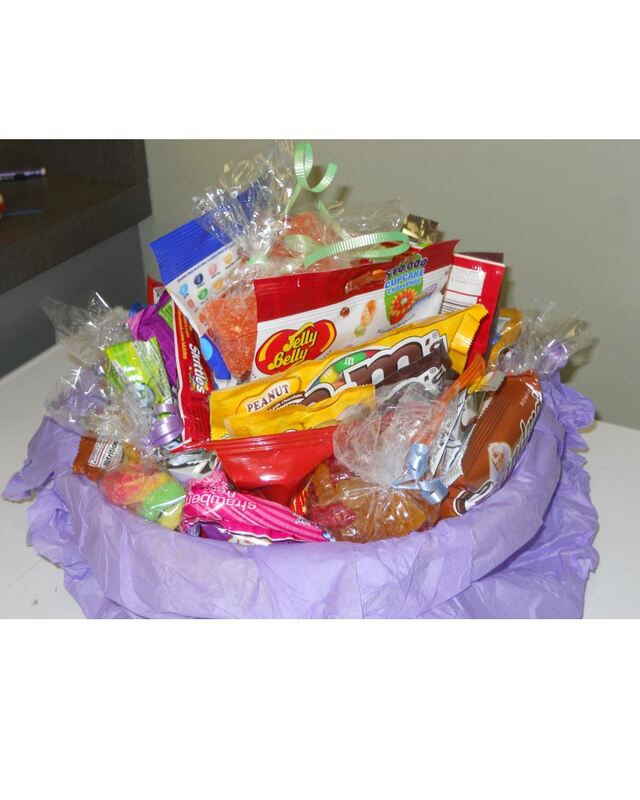 :)) This basket is loaded with the perfect treats to study for exams or to celebrate a team win! Includes; 4 packages of Grandma cookies, 4 plain M&Ms packages and 4 peanut M&Ms packages, 4 each packages of original and tropical Skittles, 2 packages of Jelly Belly, 4 grab bags - 2 sour worms and 2 gummy bears, and 4 taffy ropes. Click the button below to add the Exam Cram to your wish list.